Hayate Ayasaki is an unlucky teenager who worked since childhood to make ends meet due to his parents' irresponsible behavior. 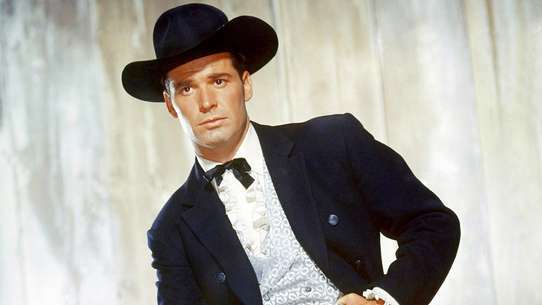 One day he finds out that his parents ran away from home, leaving behind a massive gambling debt on his shoulders. While running away from the debt collectors, he ends up meeting Nagi Sanzen'in, a young girl who is the sole heir of the wealthy Sanzen'in estate, and due to a misunderstanding, Nagi ends up falling in love with Hayate. After he rescues Nagi from some kidnappers, she hires Hayate as her new butler. 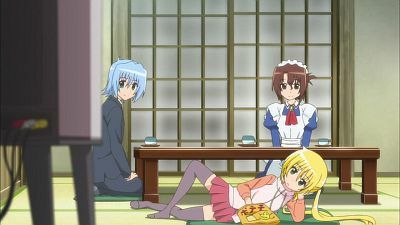 Aside from performing his ordinary duties as a butler, Hayate must fight to protect Nagi from harm, a difficult task as her life is always in danger because she is the target of other individuals coveting her family's fortune, and sometimes deal with some extravagant requests from her, oblivious to Nagi's true feelings for him. Silver Week has arrived but Nagi has no interest to set to Las Vegas and retrieve her late father's possessions, rathering to spend the day with Hayate instead. Later she pays a visit to the Violet Mansion, just to find that Ruri is alone there. Unable to leave when it starts raining, Nagi manages to have Ruri confess that her true intention is to obtain the elusive "Black Camellia", a treasure believed to be in possession of the Sanzenin family and Nagi asks her grandfather by phone about it. However, Mikado refuses to say anything beyond the fact that the treasure was stolen 13 years ago and she breaks her smartphone in anger. When the rain worsens into a storm, the two girls struggle to keep the house by themselves when Ruri saves Nagi from being hit by a large tree branch carried by the wind. When the storm passes, Hayate appears at the mansion and he gets a call from Mikado who reveals to Nagi that the Black Camellia was stolen by her father. Hayate, Isumi, and Hinagiku (using her Shirosakura sword) manage to save Ruri from the bird-guy, but she refuse to tell them who he was. The next morning, at the mansion they receive a ransom note for Ruri’s return in Las Vegas; nonetheless, recognize the handwriting to be Ruri’s. Wondering if she really was kidnapped or not, Nagi finally takes the motive to go to Las Vegas and retrieve the Black Camellia. Testing the misfortune clock, Maria grabs it then suddenly the ventilation went up under her skirt in an eerie timing, and so Hayate took possession of the clock for now. While killing time in Las Vegas, Hayate got lost and his smartphone battery unfortunately died. He unexpectedly meets Ayumu saying their plane had a mechanical problem, thinking the Black Camellia caused it. Maria and Nagi found Hayate, from their viewpoint seeing as if he is kissing Ayumu. Much to Nagi’s shocking surprise just to find out he was only taking a bit of fuzz off Ayumu’s eye. While entrusted with the Black Camellia, Hayate's bad luck has gotten much worse. 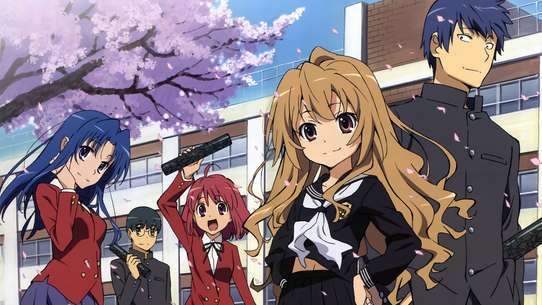 At the hotel they’re staying, the trio: Izumi, Miki, and Risa overreacts to help search for Ruri, as Hayate tries to cease them two cops mistake his action as of indecency, then startup panic throughout the hotel. Nagi insist Hayate to leave when Yukiji takes the clock from him, she won billions from a casino but then thieves showed up and stole the money and the clock with her car. Later, Hinagiku receive a call from Izumi to where the thieves' hideout. Nagi goes along with Isumi and Sakuya to where Ruri is supposed to be at. There they find a tree in the desert and meets a woman who appears to be a demon, when Nagi tells her the Black Camellia been stolen the woman sends out Ruri and the bird-guy—Shidou to retrieve it while taking Nagi hostage. Hayate and Hinagiku saved Izumi and Yukiji from the thieves before Ruri appears and found the blond-hair guy who has the clock. Ruri knocks out the thieves using her skills, but just as she strikes the guy with the Black Camellia it suddenly transforms into a sword, Hayate pushes her out of the way and gets stabbed. Nagi inquires the woman why does she desire the Black Camellia, saying it is a magical sword that grants eternity. When Hayate got stabbed by it he collapse and later gets up, however his personality seems to have changed. The woman and the tree appear and attempt to take the Black Camellia, the thieves try to fight back as their hideout catches on fire and escapes with Yukiji’s money. Hayate wants to talk to the woman, but Isumi interrupts them and release Nagi. The woman starts to weaken and retreats with Shidou and Ruri. 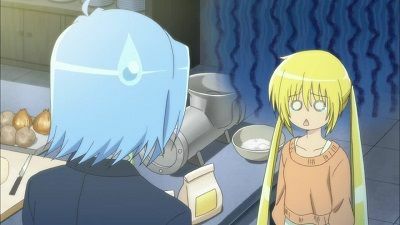 As the police arrive, Nagi concerned about Hayate’s behavior, and then Hayate tells her that he "quits" being her butler, leaving Nagi alone. The next day, Nagi pretends to be okay without Hayate. They meet Kyonosuke with a new car saying Yukiji will pay him back for it wasn't aware that she was robbed. Kyonosuke takes Nagi and Ayumu a drive to Area 51 when Ayumu shows Nagi the Black Camellia she found last night. Then the car suddenly broke down, Kyonosuke and Ayumu left Nagi alone in the desert. 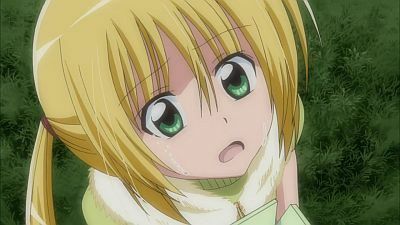 Nagi begins to realize how important Hayate was to her and exclaim that she wants him back no matter what. Ayumu comes back and gives Nagi a helping hand. Meanwhile, Hayate minds his own business when Yukiji gets him to find her money by interrogating a thief that she caught. 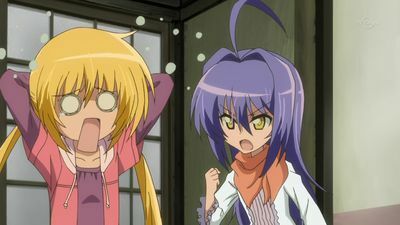 Hayate (now speaking English) reluctantly threatens the thief who gives them the location at the Starside Hotel. 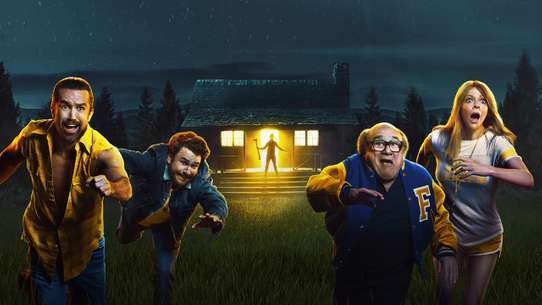 #5 - Who's that Knocking at my Door? "May I kiss you?" All of the Cuties have had the same dream - one in which Hayate kisses them! Meanwhile, the indebted butler himself continues to unwittingly make all the girls' hearts skip a beat after having a troubling dream of his own! 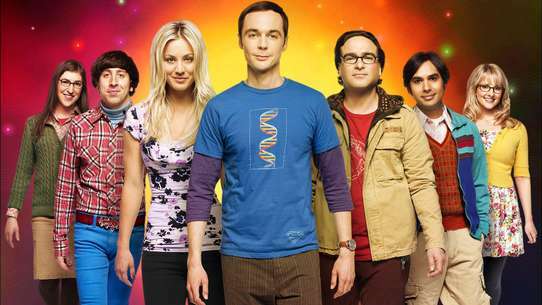 A tumult of love beginning from a single dream and someone's idea of a joke throws Hayate and the Cuties for a loop! 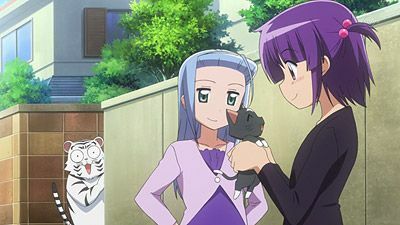 Despite her shocking revelation, Ruri is ignored by Hayate and the others until she is finally brought before Nagi who hears from her that she is actually her sister, despite having no proof of it. Nagi allows her stay for a while, but after seeing her snooping around the mansion, she decides to take her to live with the other tenants of the Violet Mansion. Ruri refuses to stay, until Nagi is convinced to give her a chance. Nagi asks Ruri if she has any sort of special skill and she reveals herself as a master of Systema, strong enough to confront Hayate. 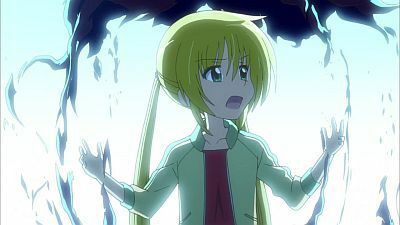 Hayate is attacked mercilessly by her until he decides to fight back and she starts crying, which is later revealed as just a trick for him to open his guard. Nagi reprimands Ruri for using such underhanded tactics but compliments her for her fighting skill, even asking to learn it from her. 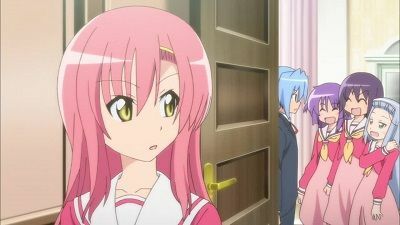 At Hakuo Academy, Ms. Katsura tells Hayate to deliver student council notes to Hinagiku. Hayate finds Hinagiku napping when Miki, Izumi, and Risa appears, waking her up, judging that Hinagiku is often scary. Hinagiku decides to be nicer for Hayate. Despite hearing her favorite tea cup get broken, and her sister already spend the money that she lend to her, Hinagiku shows a smiley personality to them; much to their surprise. Hayate suddenly ask Hinagiku to see a kids’ movie with him then Ruri joins them later. 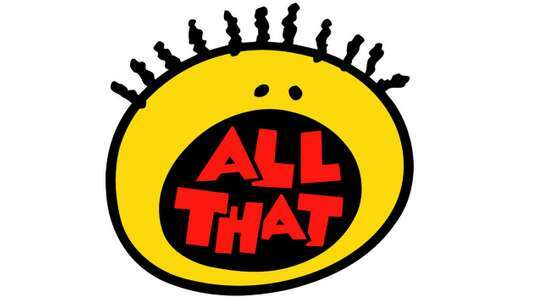 The kids in the theater tease them thinking that they are a couple, the movie starts shortly after but the film cuts off. Then Hayate takes Hinagiku to an amusement park; leaving Ruri behind. 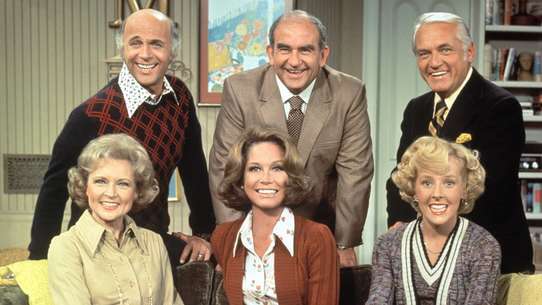 They enjoyed themselves until it was time for them to leave. Hinagiku ask Hayate to why did he take her out, he explains it was Miki and the others who told him to; thought she was having a bad day. Hinagiku says that she wouldn’t go out with a guy unless she likes him, but Hayate couldn’t hear that part. 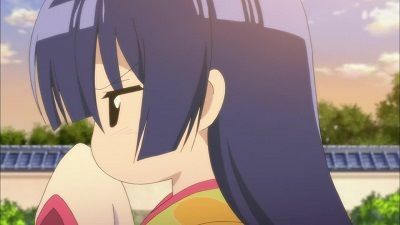 Angry at Maria for always scolding her, Nagi orders Hayate to follow her arround looking for some reason for her to scold the maid herself. 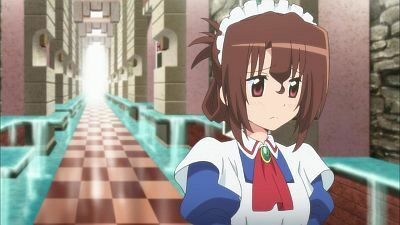 Unable to find any bad trait about the maid, the butler stumbles on Yukiji who invites him for lunch just to learn that she has no money and intends to have him pay the bill. Meanwhile, Maria calls Mikado and asks about why there is no pictures or any info about Nagi's father, and he responds that all evidence of his existance was erased by him, as according to him, he was just a con artist who married Yukariko aiming for the Sanzenin fortune. As Hayate argues with Yukiji, both Ruri and Sonia appear and start ordering food, increasing the bill. As the four argue about who will pay the bill, a thief breaks into the restaurant, giving an opening for both the sister and Ruri to flee. 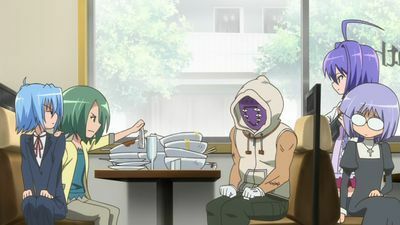 The thief claims that he is stealing money for the sake of his sick little sister's medical expenses and Yukiji reprimands him while pointing his own gun at him and Hayate. Hinagiku appears mistaking her sister for the thief and stops her. With the thief turning himself to the police and Hinagiku leaving with her sister, Hayate remains alone at the restaurant, calling Maria to ask her for help with the expenses. A story about Nagi’s father, Shin Hayek, is told how he was a thief then he met Yukariko and eventually fallen in love with her. Nagi discover the Black Camellia is in Las Vegas with Shin’s belongings. Nagi explains the Black Camellia is a clock that brings bad luck (but can grant the owner miracles for eternity). Ruri who is desperate decide to enter a quiz contest hosted by Fumi Hibino to win tickets to New York as a way to go to Las Vegas. In the end, Hinagiku and Ayumu won and want to see Ruka’s concert in Las Vegas. Ruri ran away wondering what to do next, since Nagi warned her not to do anything dangerous. Hayate comes looking for her when he, Isumi, and Sakuya witness her being abducted by a bird-like creature. Everyone gather together gladly to help Nagi search for Hayate. 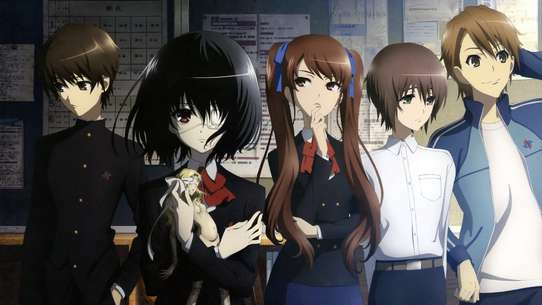 The girls try to figure out the mystery: the Black Camellia, the woman—Dolly, the accident 13 years ago, and Hayate’s strange behavior. After Izumi and Hinagiku mention that Hayate got stabbed the previous night, Nagi comes to a conclusion. Ruri appears and Nagi asks her to bring her Dolly’s ring; Hayate’s life depends on it. 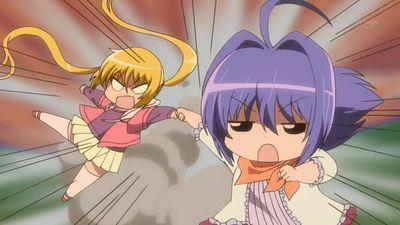 Nagi orders Klaus to deliver her mother's wedding ring over immediately then lends it to her friend, Ruka Suirenji, so Hayate will notice the ring on Ruka’s TV interview. 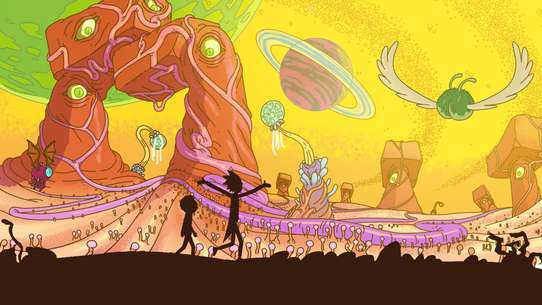 Ruri found Dolly's ring and receive an email to meet at the Starside Hotel. Tonight at Ruka’s concert, Nagi’s friends go there to enjoy the show. Hayate and Yukiji arrive at the hotel; Hayate goes into Ruka’s dressing room and found a note written by Nagi informing him the ring is at the wedding hall. In the wedding hall, Nagi reveals the Black Camellia is a sword that exchanges a person’s soul and what happened 13 years ago, and thus Hayate is now Shin Hayek—Nagi’s father! Shin sat down with Nagi and talk about Yukariko. Dolly shows up with a captured Ruri and demands the Black Camellia, but Nagi and Shin explain that her beloved king died 13 years ago and Hayate is inside the clock now. Shin demands his ring back that signifies his and Yukariko’s eternal love. While Yukiji beats up the thieves, chaos rises above her and Maria cause by Dolly. A new semester is about to begin, but Nagi is lazing around as usual. 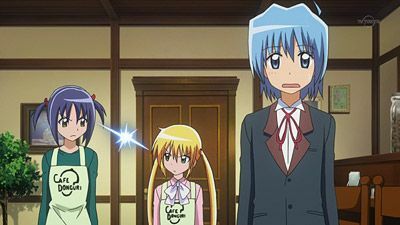 Hayate and Maria try to cheer her up without success until she gets impressed by a TV Show about aliens near Area 51 in Nevada, USA and wishes to go there to investigate. 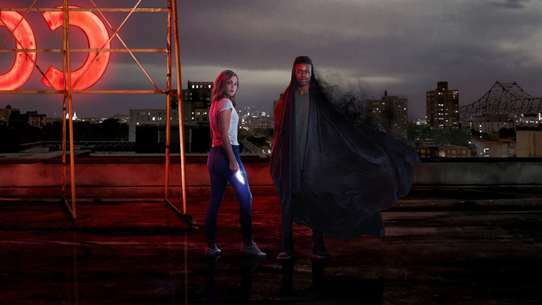 An opportunity arrives when she receives a call from the U.S. Police asking her to retrieve some of her late father's belongings, but Maria states that she is forbidden to go there until Silver Week. Nagi flees from the mansion in anger just to find later that she had forgotten her cellphone and wallet and is unable to get back home. 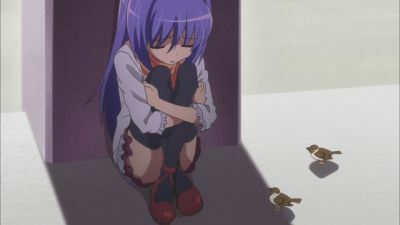 However she is found by Hayate and when he is approached by a small child, he finds that Nagi was kidnapped. Hayate gets on the girl's bike to pursue the kidnappers and rescues Nagi from them. Just then Hayate and Nagi return home, the girl appears before them once more, introducing herself as Ruri Tsugumi and claiming to be Nagi's little sister. Within the Black Camellia, Hayate is introduced by a tanuki who tells him how the clock’s fortune functions. Meanwhile, Ruka is doing her singing performance; Isumi and Sakuya run to help Nagi. Ruri and Shidou try to defend Dolly but she rejects them, Shin protects Nagi from Dolly’s wrath. The rest of the thieves are defeated when Hinagiku uses her Shirosakura sword to rescue Ruri from a falling pillar. Shin takes Nagi to safety and approaches a helicopter with Hinagiku and Yukiji (with her money), but then Dolly captures Nagi and creates a gigantic tree. Yukiji flies away with Hinagiku on a parachute, Dolly begins to crush to Nagi, and then Shin arrives with the Black Camellia and stabbed himself asking Nagi to get his ring back for him. Shin appears before Hayate telling him to go save his daughter. Hayate comes after Nagi, proving to Dolly that he is not her beloved and starts to crumble. Hayate holds Nagi’s hand and flies down on big balloons miraculously and she confesses to him. It’s raining money, Isumi and Sakuya had Ruri taken to a hospital. Shin sang a song when Yukariko appears and the two are finally reunited. As Hayate and Nagi land safely Dolly comes down and Nagi reveals what her beloved king last words were before disappearing into the sky, the Black Camellia got crushed. 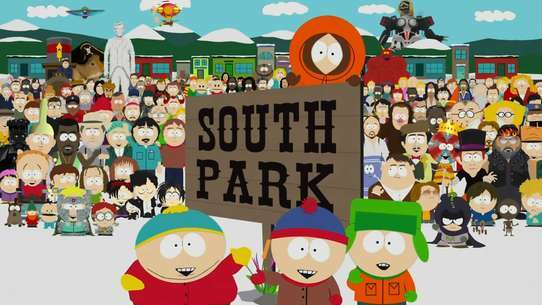 And they go to see Ruka’s concert. After all other businesses were taken care of; Ruri gives Nagi her father’s wedding ring and leaves with Shidou revealed be a handsome man in a suit. Hayate and Nagi arrive at Shimoda to drop off Shin’s ring and the Black Camellia at Yukariko’s grave thanking them for everything. Nagi is playing her fierce video games until Maria instantly unplugs the TV. One morning, Nagi inadvertently awakens early at the Sanzenin Mansion and discovers how the early mornings can be so delighted. She follows a scent of cooking and found Hayate in the kitchen. After eating breakfast, Nagi tries not to get sleepy by doing some exercise which isn’t easy for someone of her lifestyle. At Wataru Tachibana's video store, Nagi purposely rents an R-18 naked DVD mix with a stack of random ones; however, when she presenting it to Shiranui in her tree house Nagi found out she had grabbed an R-18 horror DVD by mistake. Ending up watching the whole film Nagi becomes terrified and begs Hayate to stay by her side all day until she’d fallen asleep, and Hayate whispers her a good dream that suppress her fears. 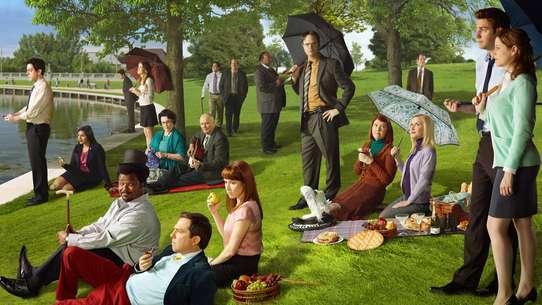 Maria also watches the film and its déjà vu. Shifting back at the Violet Mansion, Nagi confined herself from going to school on a soggy day. Hayate tries to persuade Nagi by using advice to motivate her. Maria lends Nagi some money saying it represents life. This finally inspires Nagi to go to school together with Hayate admitting that morning days are interesting. Having to sleep late again Athena (Alice) takes in some sunlight for refreshments. Hayate gave her some ringlet-shaped chocolate. Suddenly, a big dog approaches Athena then licks her. 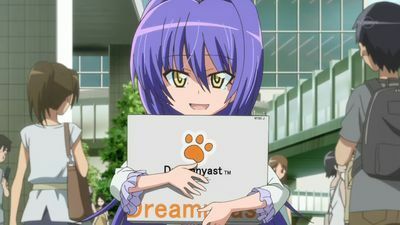 She demands Hayate to find its owner. While they search for the dog’s owner on the streets, Athena disciplines the dog. Fumi appears declaring the dog, Armageddon, is hers. Armageddon quickly tackles onto Fumi, just as they leave Athena signs she likes Armageddon, and Fumi responds he likes her too because of her ringlet-shaped hair. The next day, Wataru struggles with the pile of money that Sakuya had delivered to him in order to keep his business funded. 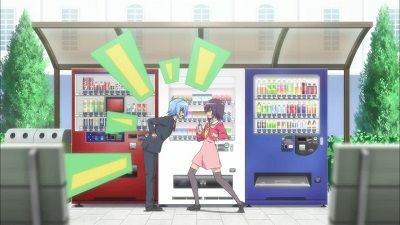 Hayate and Saki offer to help deposit the money into the bank account regardless of Wataru's denial. Walking on the streets, Armageddon and Yukiji suddenly appear then the dog snatches the briefcase full of money and runs off. 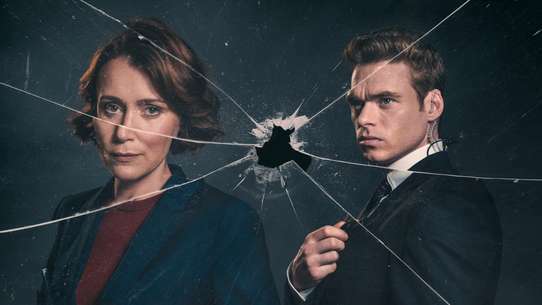 He shows Fumi the briefcase, freaking out, Fumi plans to hand it over to the police, but her friend Sharna Alamgir warns she would be considered a suspect. 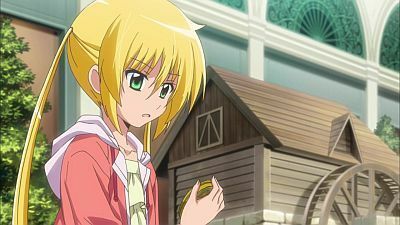 Meanwhile, Saki blames herself for losing the money, Hayate goes looking for the briefcase he found that Armageddon brought it to Athena, but finds the money inside the briefcase gone. 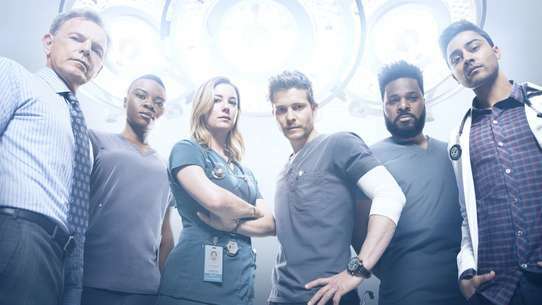 Fumi and Sharna gather to help search for the money, then Hayate rushes to Tama to have him translate for Armageddon to know where the money is. Despite being insulted by the dog, Tama confirms the money been stolen by bandits. Tracking down their hideout, Yukiji beats up the bandits as Hayate and Wataru arrive to retrieve the money. With the money finally deposited Athena asks Wataru he should comfort Saki and so he does. Afterward, Nagi and Athena are left alone together for the day. They warm up some Nikuman to eat but overcooked it. Thinking what to do now, Linn the ghost priest mentions they should go find Hayate at the Café Donguri to have him make dinner for them. Accepting the idea, they head out, but along the way Nagi and Athena get lost since neither are familiar with the direction. Following the uphill, they manage to arrive at the café and desperately demand Hayate to make them Nikuman. 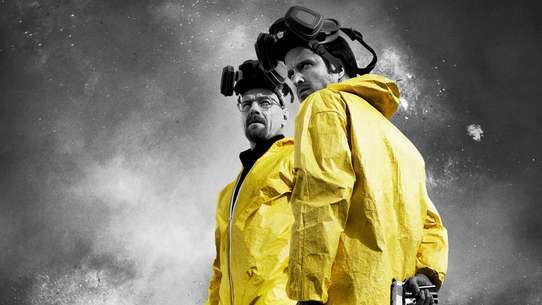 The Saginomiya residents are curious to why they don't have a maid to support them in any way. So Hatsuho went to request Hayate to handing out flyers to recruit suitable maids use to overcome Isumi's weakness of smartphones. Fumi chose to be a maid candidate confident in her skills. In the end, both Isumi and her mother rejected Fumi because she did not meet the standards of understanding how to use smartphones. Nagi responds Isumi doesn't need a maid. At the Aizawa mansion, Chiharu as Haru is teaching Sakuya to be modest. In a flashback, the story goes on how Chiharu been hired to be Sakuya's maid. Makita & Kunieda reach agreement that Sakuya needs a maid by choosing one at her café. Sakuya asks Nagi why she hired Hayate as her butler in the first place; she replies that it was fate. In an arcade, Sakuya and Chiharu play virtual games together, and felt faith in her so she had Chiharu become her maid. Back in the present, Sakuya visits Nagi then discovers Chiharu there at the Violet Mansion. She drags Sakuya away and begs her to keep her maid identity a secret. They search for ideas to draw a manga, ditching Sakuya since she can't read manga. Isumi tries to help Sakuya to entertain herself. Sakuya hopes Nagi can still rely on her. Feeling depressed because she isn't fragile, Hinagiku wishes Hayate to give her a shoulder massage, but is too embarrassed to ask him. 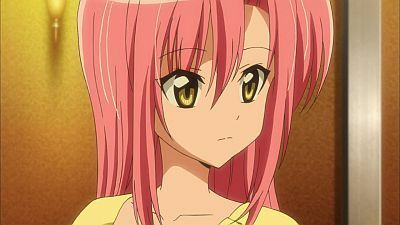 Thinking how to get him to offer her a massage, Hinagiku uses a chance while studying with Hayate in the evening, but fails. The next day, Hinagiku reflects from the previous night. 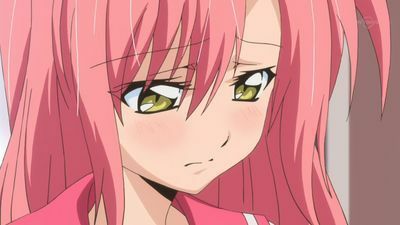 Athena reassures Hinagiku she try hinting Hayate again. 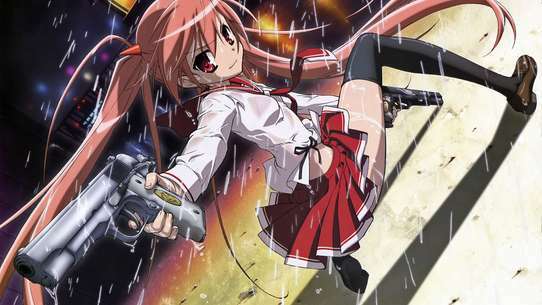 Hinagiku receives a call from Hayate to meet at the Sanzenin Water Resort to deal with the troublesome Hakuou Three Amiga swimming in the artificial sea. 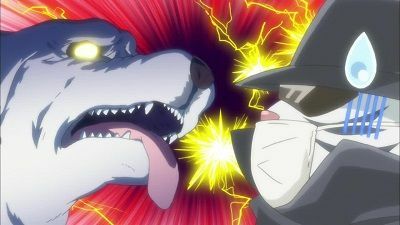 Abruptly, their old foe Gilbert makes an appearance causing Hayate to beat him up. Gilbert provokes a 2v2 volleyball game challenge with the butler. 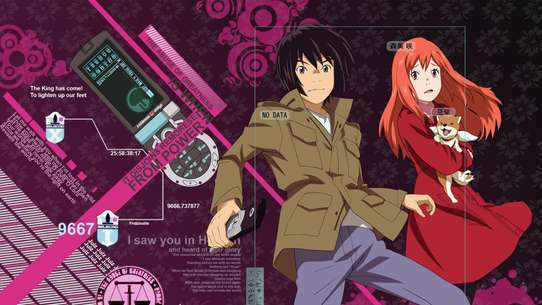 Gilbert's partner is a new and improved Eight, and he chooses Hinagiku as Hayate's partner believing she is "fragile". Hinagiku pretends to be fragile for Hayate at the start of the game, which they didn't expect. Hayate apologizes to Hinagiku that with her on his side he thought he'd win the game. Her mood changes when Gilbert laughs at her flat-chest, and hits the ball hard at Eight. Successfully winning the game, Hinagiku shows her swimsuit, introducing herself as the student council president and declares that she will not lose. That night at dinner, Hayate comes over to offer Hinagiku a shoulder massage. Overjoyed with his answer, Hinagiku happily takes him up on his offer. At Hakuou Academy, Risa discusses with Hayate about why people recently been calling them the "idiot trio". Izumi and Miki thrash out then start arguing together with Risa, they decided to find results on who's the smartest of the three by creating an interesting film. Hayate follows Izumi firmly to where she’s recording a plant growing, but accidentally kills it. Next, Miki shows them some eggs she’s waiting to be hatch; however, Hayate corrects her that unfertilized eggs will never hatch. Last, Risa presents a contraption that sets off balloons, but failed to notice them flying away without recording. In the end, it became clear to Hayate that the three are idiots. 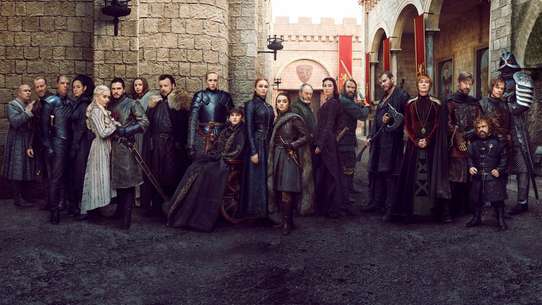 Thinking about yesterday, the trio are in session alone then again rather study on how to be popular. Hayate comes to check on them, and Risa tries to force him into doing something shameless to Izumi for the cute and blush research. Later, Izumi does cleaning duty as punishment for being careless of the paper that Yukiji gave her to take to the class. She puts on an embarrassing act using Miki's video camera until Shiranui scares her, and then Izumi heads home forgetting to delete the video. The episode ends showing Hayate has taken the memory card from the camera. Ruka the idol is told from her manager Atsumari that she been booked to star in a bicycle commercial, telling her how lucky she is. 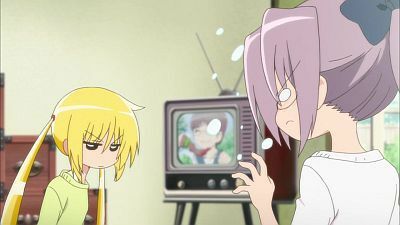 Nagi, Hayate, and Maria are watching a recap of Ruka's concert on TV at the Violet Mansion. Ruka got the day off so she makes a surprise visit there and informs them her amazing opportunity. Tactlessly, she doesn't know how to 'ride' a bike so she intensely desires Hayate to teach her how since he’s a professional at bicycling. Ruka first practices in the yard but ruins Maria's garden. It soon gets dark, Chiharu suggest Ruka should try practicing on Hakuou Academy's grounds. Hayate strictly trains Ruka to ride a bike down a steep hill, that looks risky. He pushes her down the hill and catches her before she falls, hoping it would help overcome her fear of falling. At the end of the day, Ruka and Hayate start having fun using a squirt gun. Nagi asks Hayate if he can teach her how to ride a bike too but expects him to do it more kindly. Later, Hayate, Hinagiku, and the Hakuou Three Amiga, were invited to see Ruka’s next concert. Hayate receives an urgent call from Ruka and Atsumari depending him to act as a backup dancer in a maid outfit on the stage, also Ruka wishes for his service because she's in a stress. The concert begins with Ruka singing through willpower. Before her last song, Gilbert shows up and battles Hayate. 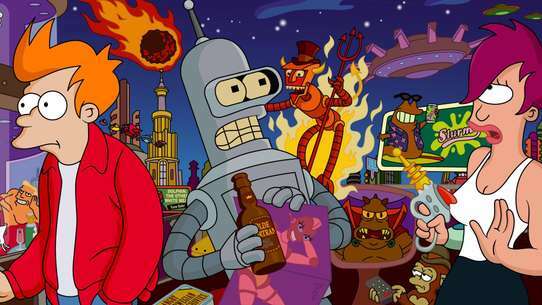 The staff members mistakenly put Gilbert’s robot on the stage and goes on rampage. Hayate quickly kicks the robot off the stage, he dances with Ruka joyfully, and the concert was a success. Astonish to gaining weight, Ayumu efforts to preserve her health. 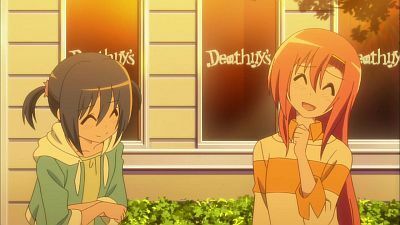 Following at Café Donguri, Hayate gives Ayumu some Nikuman he made, at that moment, she realize her constant consuming of Hayate's food is the reason she's gaining weight. She stops herself from eating, but just couldn't resist Hayate's generous offer. In a flashback, Ayumu remembers how everyone prepared a surprise birthday party for her. Hayate was baking cookies for her, Maria questions who else's birthdays does he know, answering he remembers everybody's. Nagi and Chiharu compromise they should throw a surprise party for Ayumu over at Café Donguri. Before they can start setting it up, Ayumu arrives already! As she attempts to remind them what "today" is, they try to avoid the question by feigning ignorance until she gives up. Ayumu finally leaves after part-time and everyone quickly prepares the party. 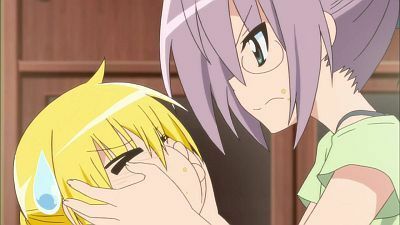 Nagi calls for Ayumu's return, but she is too dismayed, so Nagi use a sympathetic manner to convince her. Ayumu comes back and they surprise her with the party, feeling overjoyed she jumps onto Nagi. Back in the present, Ayumu walks home with Hayate saying it's unsafe during the night, leaving Hokuto inaccuracy. They go to Shiomi high school, to pick up Ayumu's notebook that she forgot. Hayate thought if his parents hadn't sold him to the yakuza he probably would've accepted Ayumu's confession from before (Season 1 episode 12). As they leave, after defeating a monstrous thief, Ayumu decides she will do her best to lose weight. Top of the Hakuou clock tower, Chiharu is doing a speech pattern when Aika caught her unguarded. Aika responds that side of her is cute. Chiharu believes there are others who are more unguarded than herself, as she hangs out with Nagi due to their common interest. Later, Chiharu decided a barbecue for the tenants, and she has Hayate give her grocery shopping assistance. She questions Hayate what would he do if a girl confesses to him; he gives a serious answer. Ruka arrives at the Violent Mansion as she accepted Chiharu’s invitation. Ruka asks Ayumu if Hayate would become her boyfriend even if it means kissing him, which irritates Ayumu. As Hayate and Chiharu return, he responds to Ruka and Ayumu that Chiharu asked him the same question, but they misunderstood it, then everyone celebrate for the barbecue. Kayura is eating the kebabs and making weird remarks. In a flashback, Hayate and Nagi remember when they first met Kayura (and pitching up a tent). 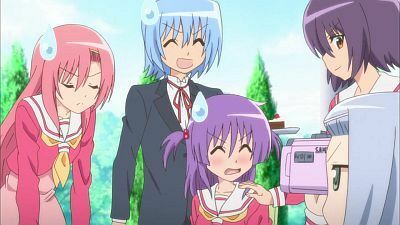 After Kayura rented a room at the apartment, she enrolls as a transfer student at Hakuou Academy, so Hayate and Nagi gladly give her a tour around the campus until they reach the clock tower and Hayate casually shows them Hinagiku changing. Back in the present, after the barbecue and the tenants go to their rooms, Kayura states that you should not take your instant feelings too seriously. Hayate accidentally sees Hinagiku changing again; prompting that Hayate is the one who is most unguarded. Shiori fixed a tape recorder for Yukiji then tells her days as a student at Hakuō Academy. 7 years ago, when Maria was the student council president, Shiori amazed how academic and cute Maria is, so she shows her camera photos of her growth…but Maria breaks it like it was an accident. In the end, it seems Maria refuses to expose any of her cute traits. At the Sanzenin Mansion, Maria discovers a love letter for Hayate; however, he wants to turn it down then Nagi returns a strict reply to the sender; a second later, the sender replies a horror letter to Hayate which now scares him. Nagi devises Hayate and Maria to go on a fake date in order to drive away the sender. The sender is revealed to be Linn and he gets enrage of seeing Hayate dating Maria. Hayate and Maria follow Nagi's script by trying on different clothes even though it's embarrassing, with Ayumu and Hinagiku following them thinking their date is real. Last, Hayate and Maria go to an aquarium, as Linn tries to get involve with the maid, but fails. Then they run into Ayumu and Hinagiku and they ask if they're really dating, and respond it's just their imagination. At sundown, Maria hopes she'll find a boyfriend like Hayate someday. 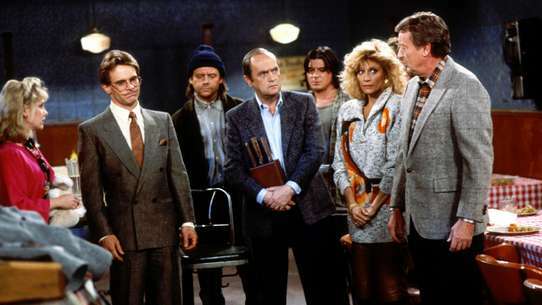 The episode ends showing a phone ringing. Ruri is looking for a way to get close to Nagi in her search for some unknown item at her mansion. Chiharu and Kayura recommend her to buy some games for her to play with Nagi just to find later that she had already bought and played them. After both Nagi, Chiharu and Kayura have a heated discussions about their preferences related to manga, anime and games, Ruri asks them for some recommendations and they set for Tachibana's shop. While the trio argue about which manga she should start reading first, she ends up wandering into the R18 dōjinshi section just to flee in horror soon after. In the end, she ends up purchasing just a dōjinshi from an unknown author which Hayate recognizes as one of Nagi's original creations. "I have to kiss someone, for Miss Nagi's sake!" As the time limit draws near, Hayate dashes through town looking for someone to kiss! And the Cuties, hoping to help Hayate somehow, are also running all over the place! The days of youth, and the first kiss - two things that everyone treasures. Nagi tells Hayate how she came to adopt Tama during a trip in Africa. Tama, determined to get rid of Hayate and Shiranui, corners the latter in a delivery truck only to be locked in and transported to an unknown location. Fearing for his life after hearing that an anaconda loose in the city was shot and killed, Tama tries to make his way home with Shiranui. The two are saved by Hayate when he pulls them out of the way of a speeding truck.